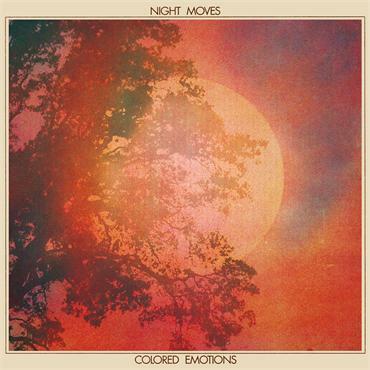 Night Moves is quickly becoming one of my favorite bands with their innate knack for creating sweet indie pop, so lush you will immediately want to take a bite out of it. After diving into their re-worked debut record, I grew curious about the band and their beginnings. I had the chance to speak with front man, John Pelant (who has a uniquely powerful voice, driven by haunting tones), about the record and how the trio came together. 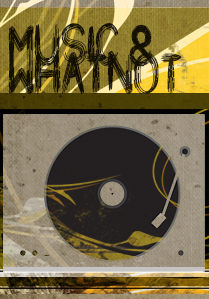 For the latest news on Night Moves, check out http://nightmovesmpls.com. 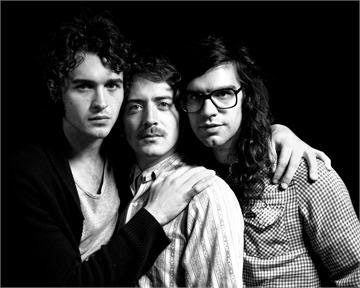 The band is currently on tour with the increasingly popular Django Django. Keep an eye out for them! I would love to hear a brief description on how you guys got together initially? We all met in high school and had bands with one another. Gradually, the bands we were in disbanded and Mark and I decided we wanted to keep writing songs together even though I moved to Milwaukee for college. After a year or so we decided to make a record. I moved back to Minneapolis and we have been doing the group ever since. I am absolutely in love with Colored Emotions. How far do some of the songs date back? We recorded some of the first songs in the winter of 2009 when it was a two man band sort of thing- just mark and I- but it wasn't until later that summer that we began recording the first Night Moves' tracks. This progressed into the Colored Emotions record. We also didn't even have a band name at this point. It was at this time that Micky joined the band, basically just starting out in the studio by adding bass to certain songs. Also there were early strains of the song "Family Tongues" that were present in the band that Mark and I played in before we went to college. The album was originally released by you guys, but was re-released fairly recently by Domino records. Did you guys re-record every song on the record? Basically, every track that was on the first record is on the Domino version. We did drop the last song, "Finally Home", on our first version of the record and added the song "Colored Emotions." I should add that this title track wasn't even on the first version of the album, we thought it might be appropriate if we put it on...We also rerecorded the song Classical Hearts. Other than these alterations, the record remained the same. What attracted you guys to Domino Records? Were you shopping around for a label to put out your record, or did you guys decide to re-release/re-record the record? We really had no idea who was going to put out the record. The record did not exist in a physical form, it was simply a downloadable album for free online. We also burned some copies of the record and made some cassettes that we gave out at shows or sold for a few bucks, but in terms of a physical product there was none. We didn't really know what was going to happen with the record or the band when we first put it out, we just wanted people to hear it and we felt good about the work that had gone into making the record. We signed with a manager a few months after putting the record out, who then shopped the record around to different labels. When we learned Domino was interested we were excited, as it seemed like a great fit and a label with a strong roster and history. What did Thom Monahan bring to the table, when you guys re-visited Colored Emotions? He helped clean up the record and made certain parts more distinguished. He helped us bridge our newer sounds with our older ones. He seemed really understanding to our wanting to preserve the original record. He also brought to the table his love for tequila and he told us a lot of stories about John Popper, acid, and Zima. Colored Emotions seems to flow together perfectly, from song to song. Was this intended? Or did it just happen to come together that way? No, this was the idea back when we started the band. I have lists upon lists of alternate track orderings and how each song would flow into the next with different interludes and such. It was always the plan to have it be a type of a segue. You are about to go on tour with Django Django, what can listeners/attendees expected to see when they come to one of your shows? What do you hope they experience/take away from the show? They can expect us to play most of the tracks off of Colored Emotions. We hope that people will dig the performance and be moved to listen to our music on their own time outside of the concert venue setting. Overall, we have a sound that we want to share. People can expect us to be friendly, yet wasted. I said this once in an interview, I think it's accurate in how I feel right now about the future...you never really can tell. Who are some artists/musicians that you guys have looked up to in terms of stage presence and live performance? The Flaming Lips and Cody ChesnuTT. Do you guys have any new material/projects in the works? We have a lot of new songs that are in the works and hopefully a new album. What advice would you give to artists/bands that are starting up right now? "Use your ear," that's what this pony tailed flamenco guitarist once told me at a high school assembly. I think he was right.